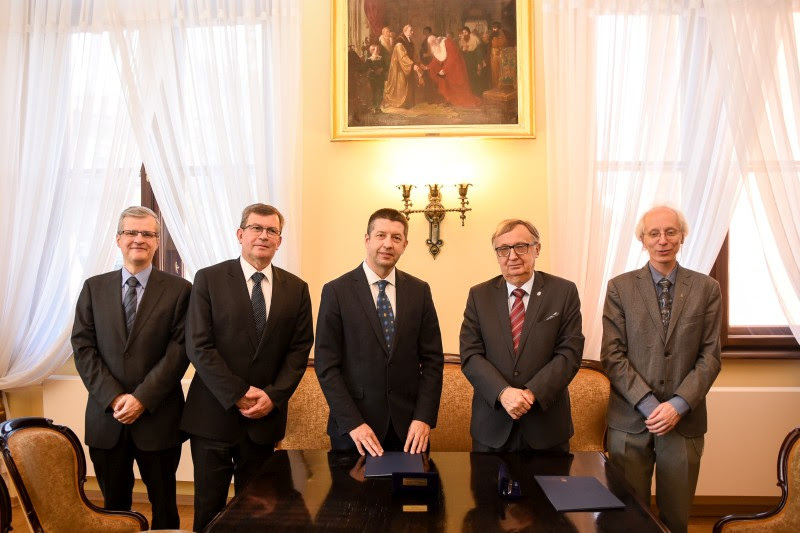 The cooperation agreement regulating Award's funding and general terms and conditions was signed by KF President and Executive Director Marek Skulimowski and the Rector of the Jagiellonian University prof. Wojciech Nowak on February 28, 2019 at the Jagiellonian University in Krakow, Poland. 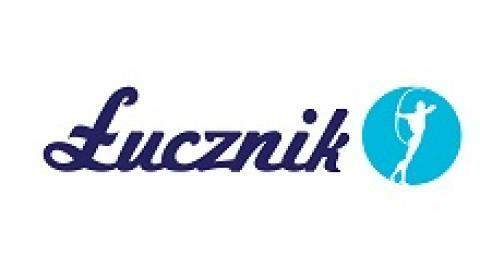 The Kosciuszko Foundation is pleased to announce the partnership with the Jagiellonian University in establishing the Frank Wilczek Award for high-achieving young Polish scientists. The Award in the amount of $12,000 will be presented every two years to young Polish scientists who have made significant discovery in physics, astronomy or in similar fields. Scientific achievements presented for the consideration for the award must be made alone or as part of collaboration, but in case of the latter the nominee's contribution must be clearly defined, leading and necessary for the success of the project. The Award is for an individual's accomplishment, therefore the nomination of a team of researchers is not allowed. Patrons of the Award are Prof. Frank Wilczek and Dean of the Faculty of Physics, Astronomy and Applied Computer Science of the Jagiellonian University. "We are thrilled to be part of this new initiative which will recognize accomplishments of young Polish scientists and encourage further scientific developments while honoring the legacy of one of the most distinguished scientists of Polish origins – Prof. Frank Wilczek. 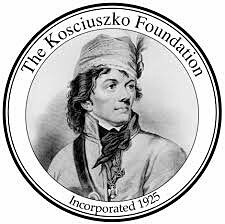 I'm also very pleased that this agreement contributes to the long-lasting partnership between the Kosciuszko Foundation and the Jagiellonian Univeristy formed for the benefit of future generations," said KF President Marek Skulimowski. Prof. Frank Wilczek of the Massachusetts Institute of Technology is one of the world's most eminent theoretical physicists. In 2004, together with Hugh David Politzer and David Grosse, he received the Nobel Prize in Physics for the discovery of asymptotic freedom in the theory of strong interaction. In 2012, Prof. Wilczek was honored with the title of doctor honoris causa by the Jagiellonian University and with the Kosciuszko Foundation Medal of Recognition, which was presented to him during the Foundation's 77th Annual Dinner and Ball. Professor Wilczek is an honorary member of the Board of Advisors of the KF Collegium of Eminent Scientists, established to honor eminent scientists of Polish Origin and Ancestry who have achieved high recognition in the USA. More information about the Award and application process will be announced on the websites of the Jagiellonian University and the Kosciuszko Foundation.